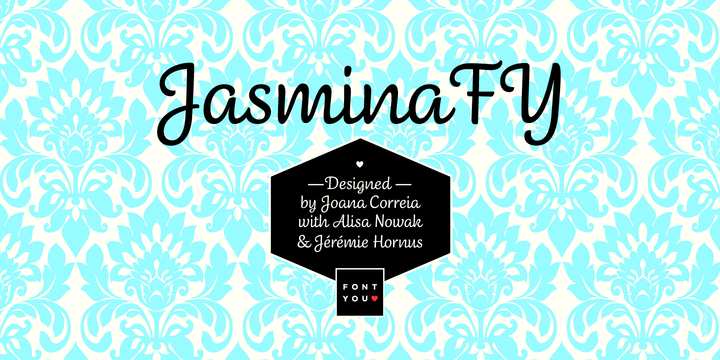 Jasmina FY is a rounded handwritten typeface created by Joana Correia and published by Fontyou that contains a Regular character set, Open Type features and it merge for small sizes but also in poster sizes. It is perfect for display, headline, poster, logo, invitation etc. Have fun! A font description published on Wednesday, April 16th, 2014 in Fonts, Fontyou by Alexandra that has 4,227 views.